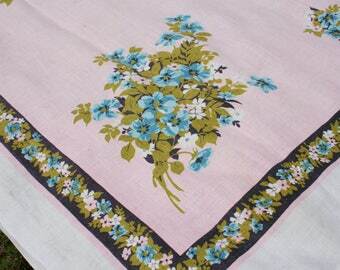 These is a really lovely 5 piece set - a square tablecloth and 4 napkins. 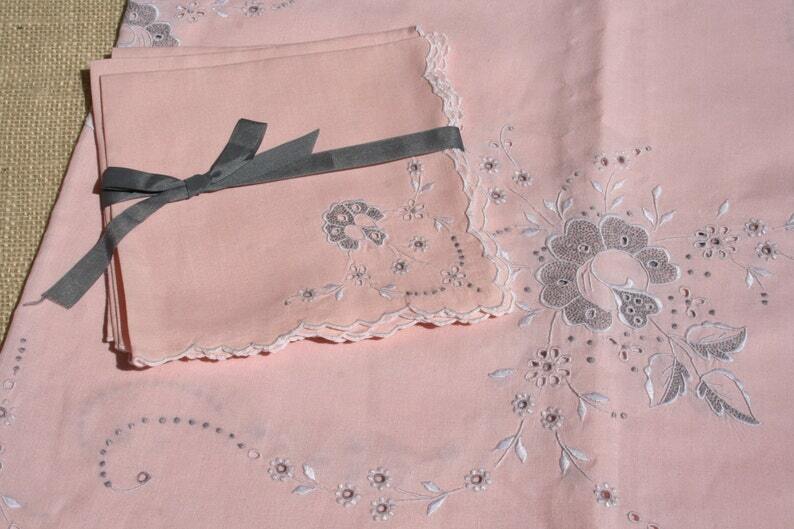 These are made of nice peach linen and beautifully embroidered in gray and white. Very pretty! The tablecloth measures 42 inches square. Each napkin measures 14 inches square. These pieces are in excellent condition. I didn't notice any flaws at all. They have been washed and pressed and are ready to enjoy!